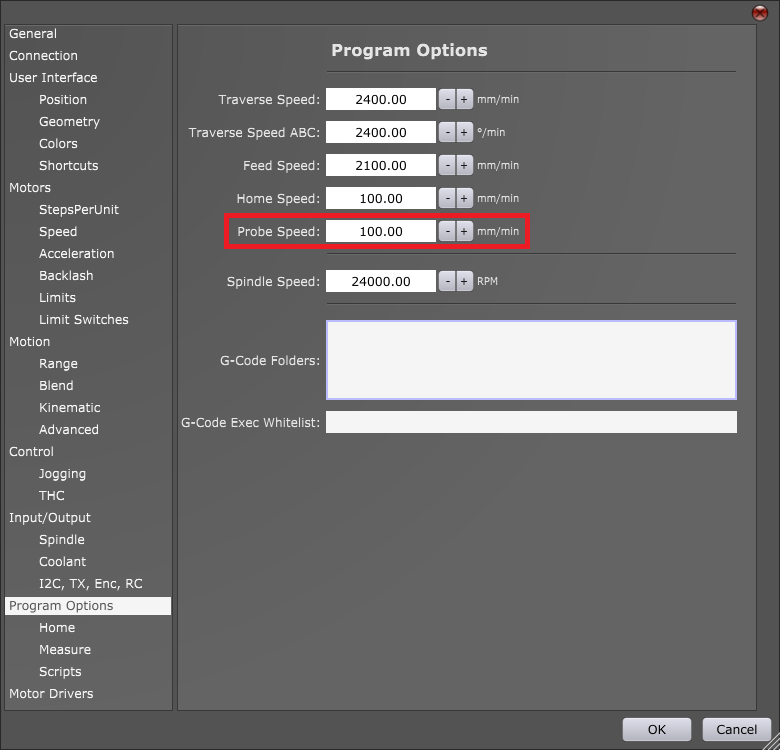 One of the most important steps when setting up your machine in PlanetCNC TNG software is configuring machines max speed and acceleration values. With speed and acceleration values that are not suitable for one’s machine, user risks lost steps(stepper motor) or increased torque(servo motor), damaged work-pieces, broken machine and most important, lost time. To obtain machines max speed and acceleration values, user should put his machine trough various tests. 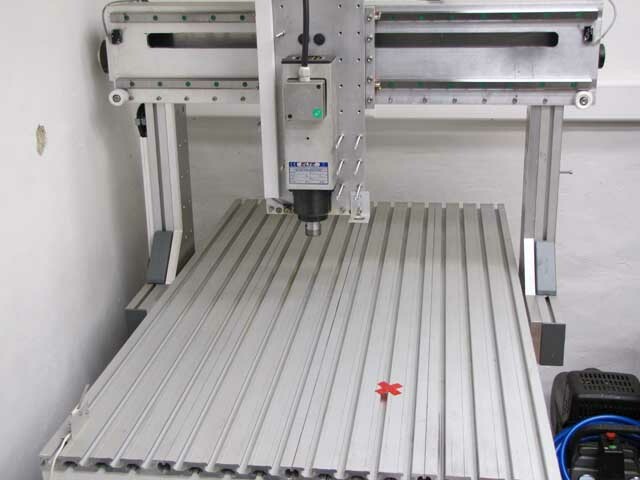 This way user will learn motion capabilities and limitations of his CNC machine. With machine max values correctly set, user can be rest assured that his machine will perform safely within its limitations, achieving best results. 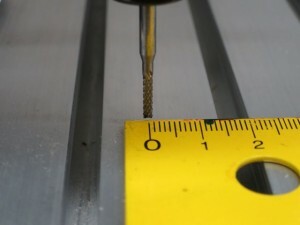 As same as we cannot achieve blistering accelerations and record high speeds with a family car, we also cannot expect miracles with small desktop CNC machine. While the main limitation of a car is usually its engine and chassis, CNC machine’s rigidness and motion capabilities base on its axis motor drives, mechanics and frame. Machine motion consists of single motor motion(single axis movements) and combined motor motion (combined axis movements – e.g. circular motion). User would need to obtain max speed and acceleration values for both types of working conditions, single motor motion as also combined motor motion. For standard 3 axis linear CNC machines, speed and acceleration values under Motors/Speed & Acceleration and Motion/ Speed & Acceleration are are usually the same. 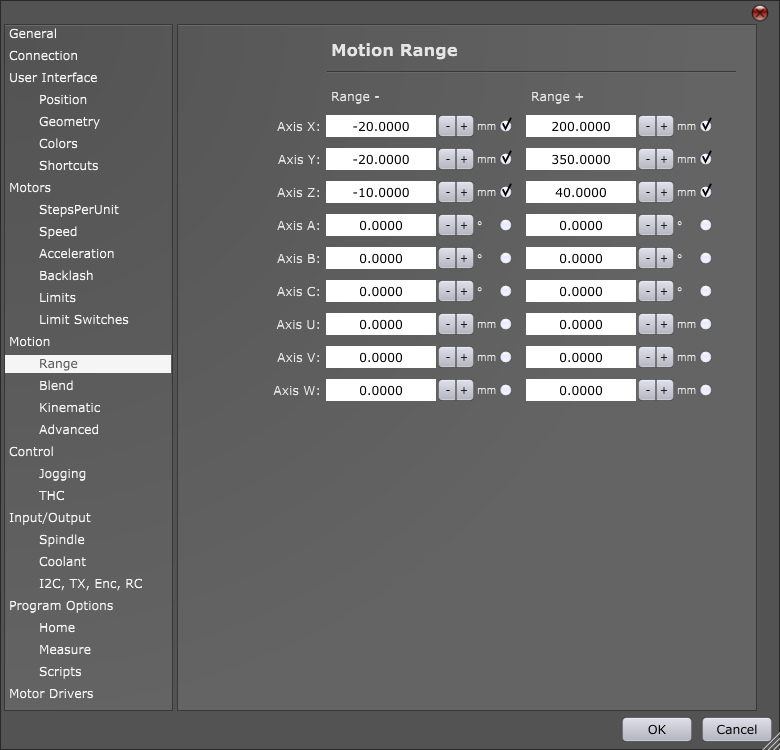 Motion tests will help with approximation of suitable max speed and acceleration values of your machine. Like mentioned earlier, you would need to perform tests for both, single as also combined motor motion of X,Y and Z axes. Z axis motion is little more specific than XY axis motion, since Z axis usually carries spindle motor which represents constant load on the Z axis motor. With motion such as hole array drilling and PCB hole drilling we can test Z axis motion capabilities. It is recommended that some of these tests are performed also while machine is actually cutting/machining. When machine cuts trough material, motors need to maintain speeds and accelerations while also dealing with resistance from material. Tests performed under these conditions can affect final max speed and acceleration values. For this test you will move each axis independently in both directions. 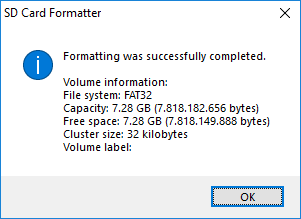 Start with default setting values, which are Speed = 2500 [mm/min] and Acceleration = 25[mm/s2]. You can start with X axis, then Y axis and as last Z axis. 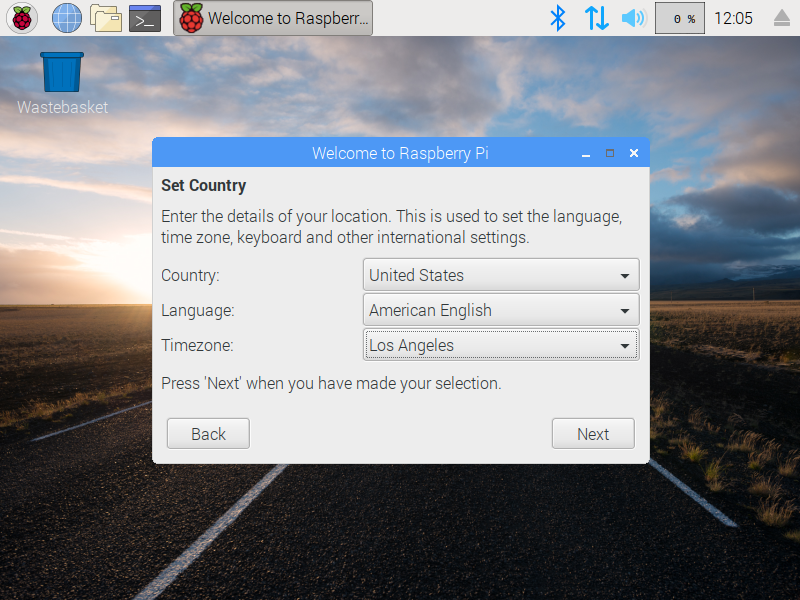 To move each axis you can use jogging keys or you can write short g-code program which would move each axis in desired distances and directions. 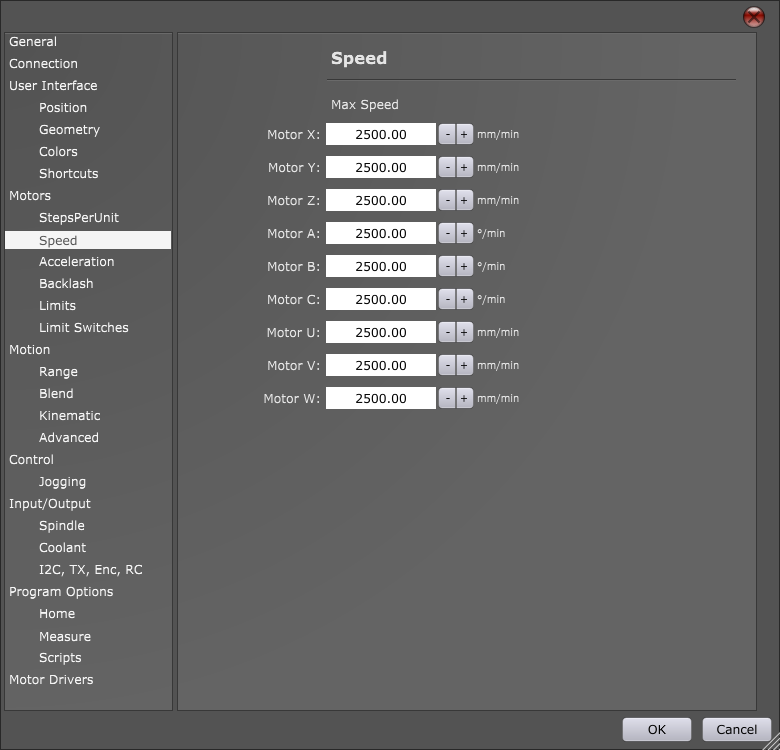 Trough out the test, configure Speed and Acceleration setting values depending on the given results of each test. 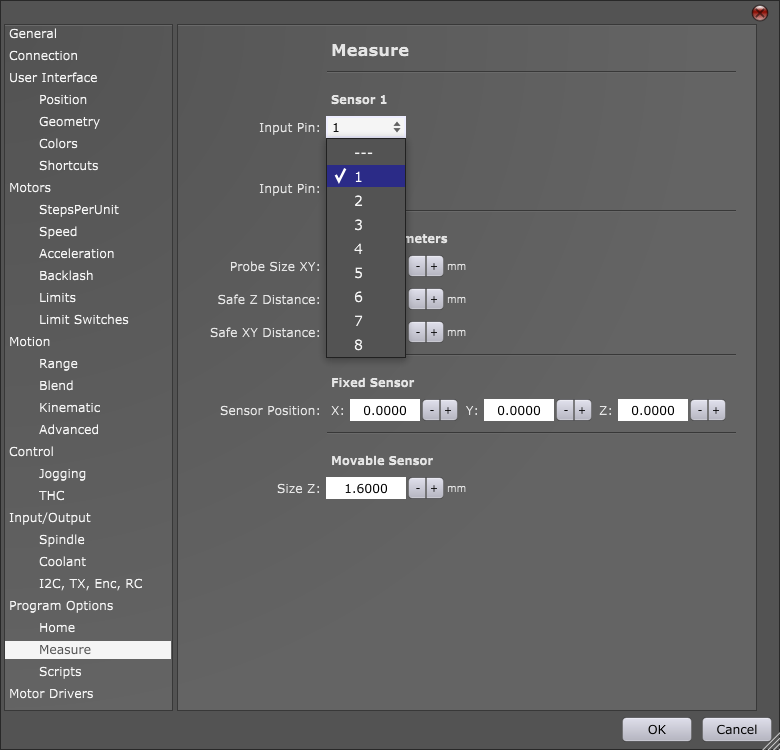 If results indicate that axis could handle higher values, increase them, and if motor looses steps, lower these values. Please note that any unusual noises, vibrations, machine frame movements also indicate unsuited speed and acceleration values. 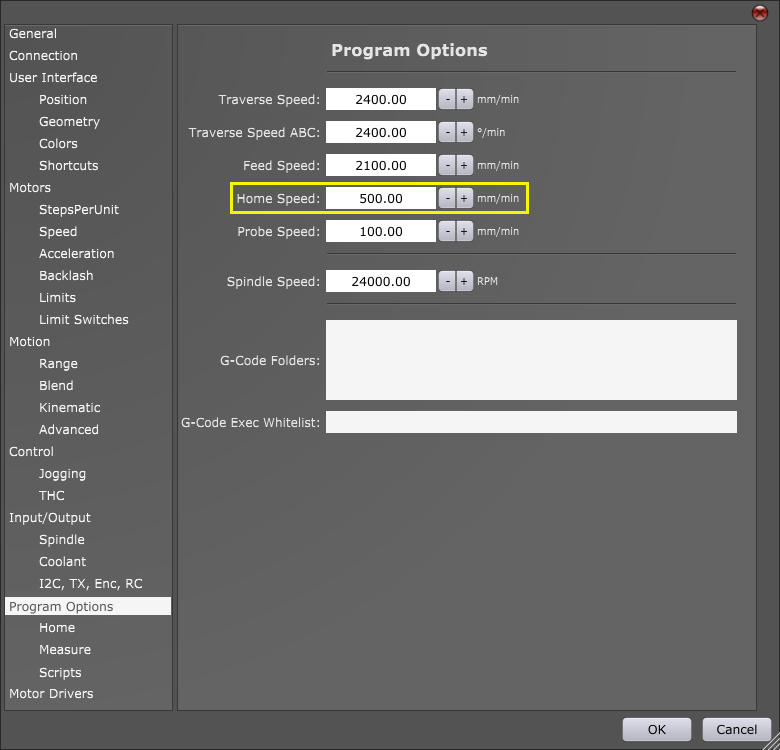 Hint: While acceleration values can be configured only via settings, you can set different speeds for testing by using JOG speed window. 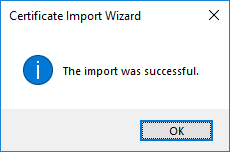 Double click on the value and insert new one. 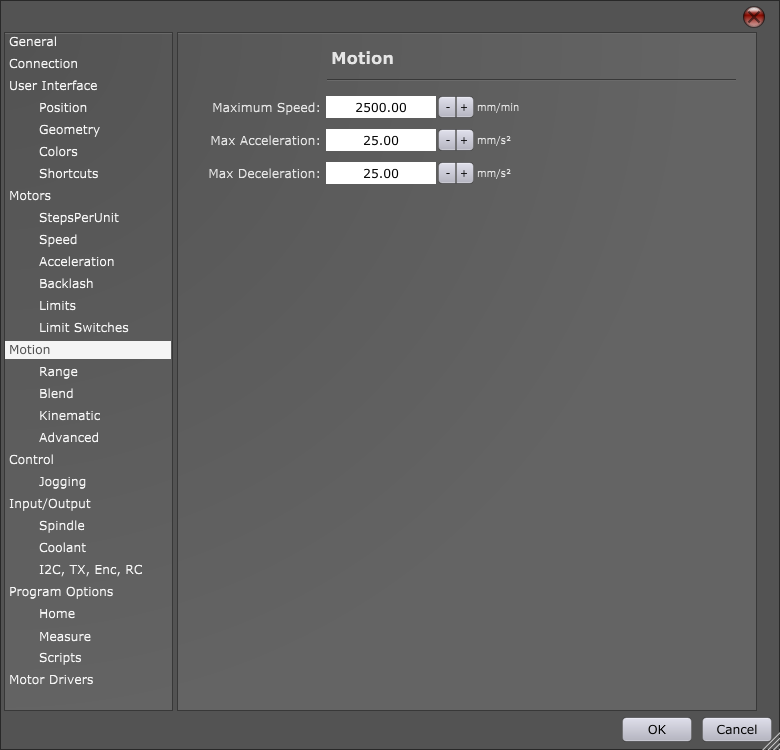 Note that max jog speed is limited with max motor and motion speed values from settings. Speed and Acceleration values that will be obtained with this test should be used for all further tests. Machine will use combined axis motion to perform these tests. For this test you will use “Round Square” user defined feature. 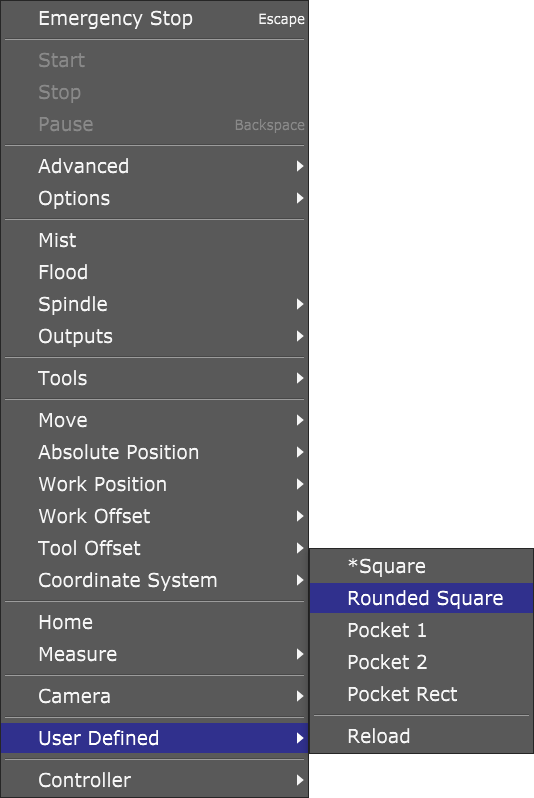 This UD feature generates toolpath program for square with round corners. Machine will perform round corners using combined axis motion, which is perfect for our test. This test can be compared to a car cornering on a race track. If car gets thrown out of the track when passing trough corner, then it is safe to say that car speed was too high. If your machine will loose steps or motors will stall when traveling trough round corners, then set speed was too high. Size: Size of square sides. This value should be high enough so that machine can achieve max speed over each square side. Radius: Equation offers you to calculate minimum radius that your machine will still be able to travel without lowering its speed, thus obtaining constant speed trough out the whole toolpath. Values for speed and acceleration (v and a) are those that we obtained with single axis test. Speed: Max speed, speed value obtained with single axis speed and acceleration test. 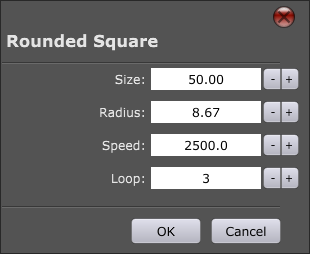 Loop: Number of times machine will execute this square toolpath. 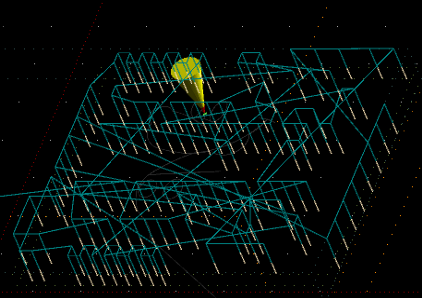 Multiple executions of this toolpath program back to back can help with better observation of machine motion. If your machine performs this square toolpath with constant speed and without any problems, this indicates that your single axis max speed and acceleration values are suitable for your machine. 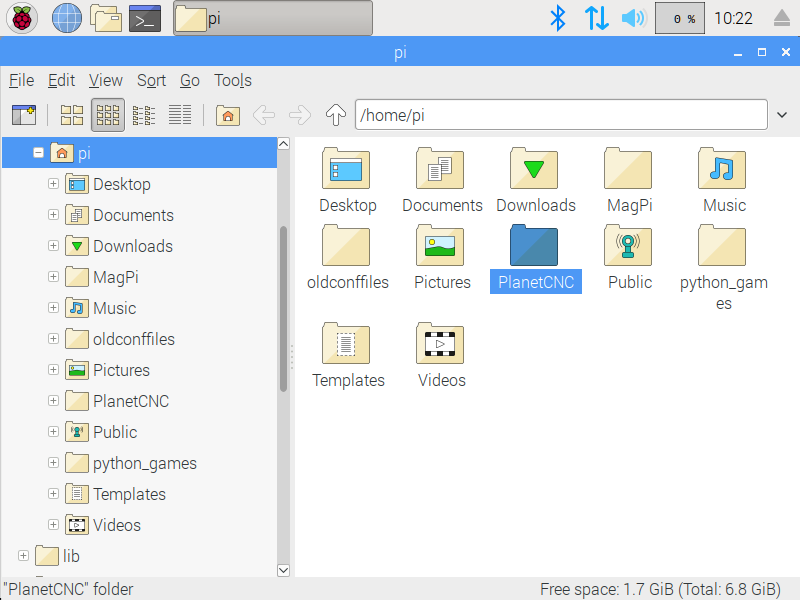 In PlanetCNC install folder locate Samples folder and open Mickey.nc file. This g-code program uses motion which makes for a great test of combined axis motion. 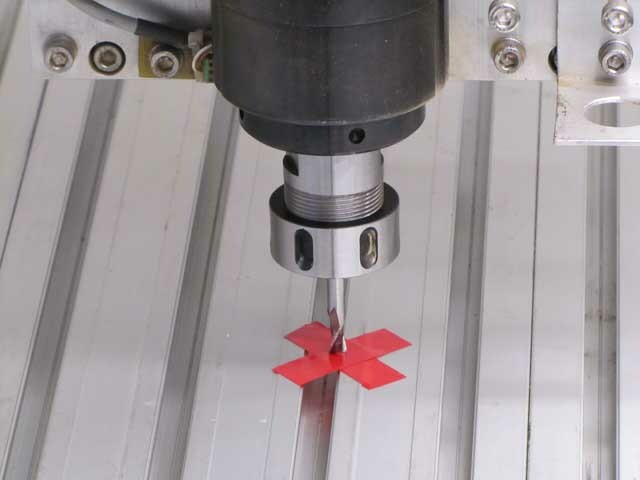 Hole array drilling and PCB drilling are great examples of Z axis motion where you can test your Z axis capabilities. Like mentioned earlier, Z axis motor needs to maintain position while also carrying spindle motors weight. With rapid and continuous Z axis motion, inertia can cause for Z axis motor to loose steps. 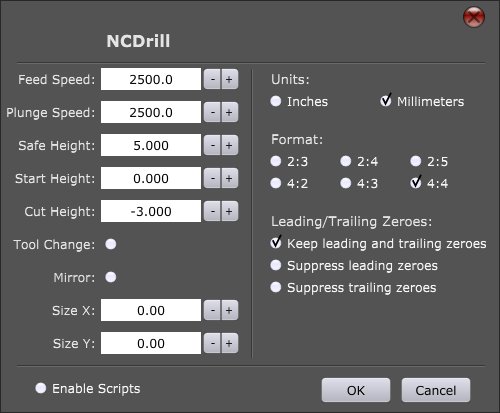 For this test, your machine should perform NC drill program file where machine drills lots of holes. Perform this test at max speed and acceleration values obtained with single axis speed and acceleration test. 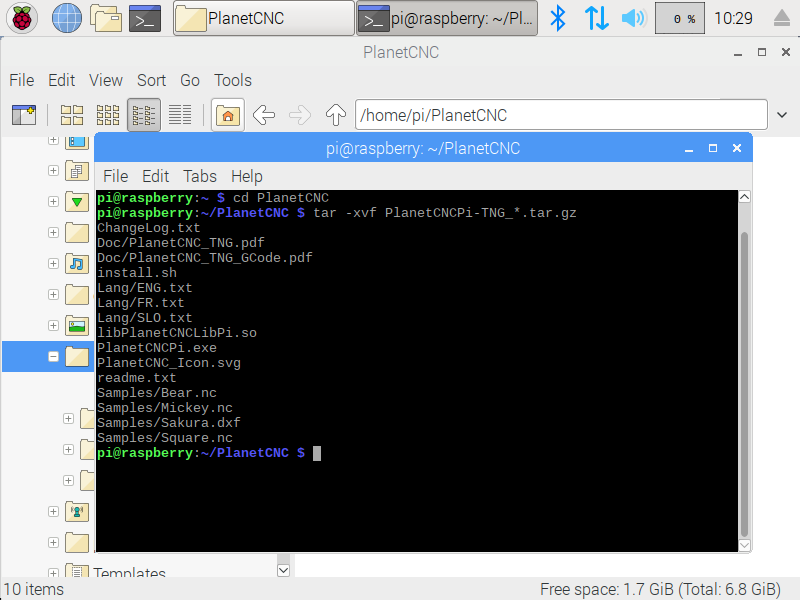 In PlanetCNC install folder locate Samples folder and open Mk1.ncd file. For Feed Speed and Plunge Speed set max speed value obtained with single axis speed and acceleration test. If lost steps or any other motion error occurs during these tests, you would need to lower max axis motor speed and acceleration values and repeat single axis speed and acceleration tests again. 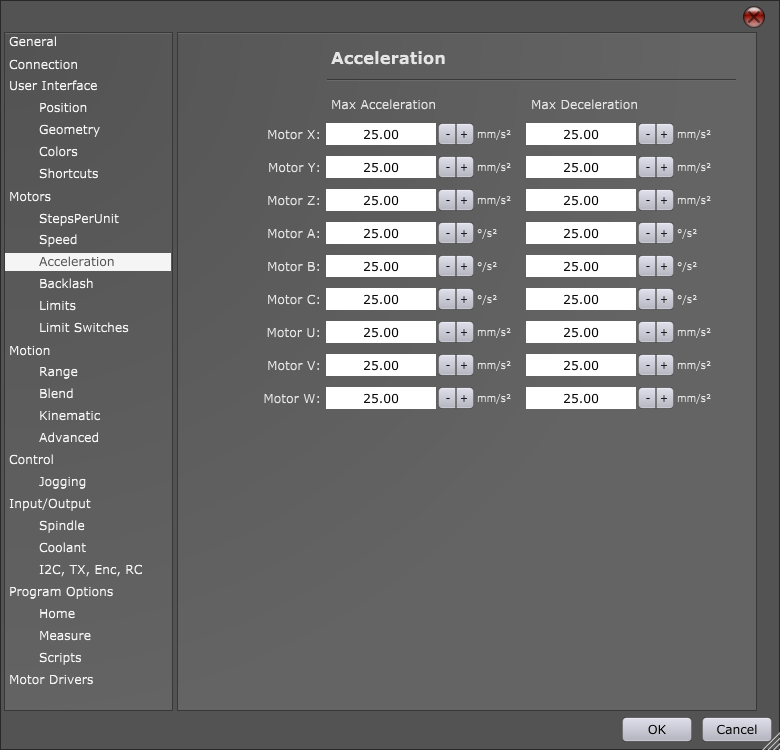 Then use new max values with combined axis speed and acceleration tests. License activation depends heavily on digital signatures. 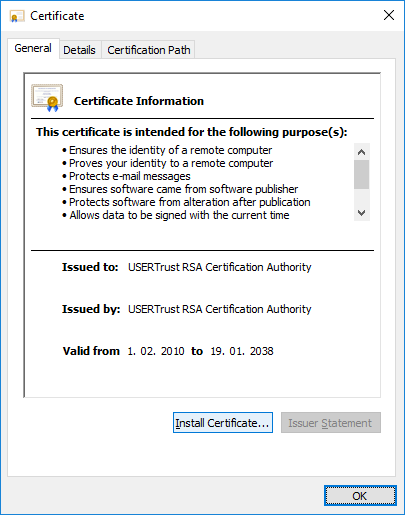 Validity of digital signatures depends on trust. 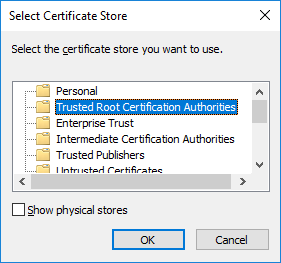 On some computers trusted root certificates are missing, specially on older PC’s or when auto-updates are turned off. 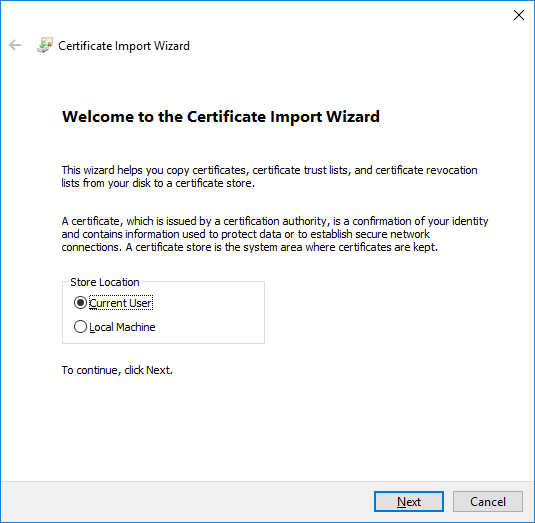 If you are facing problems because of this, it is essential that you install trusted root certificates. 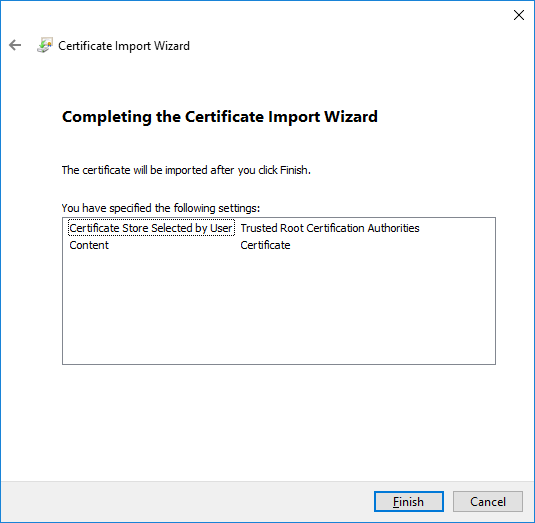 Archive includes 4 files which are certificates that you would need to install on your computer. 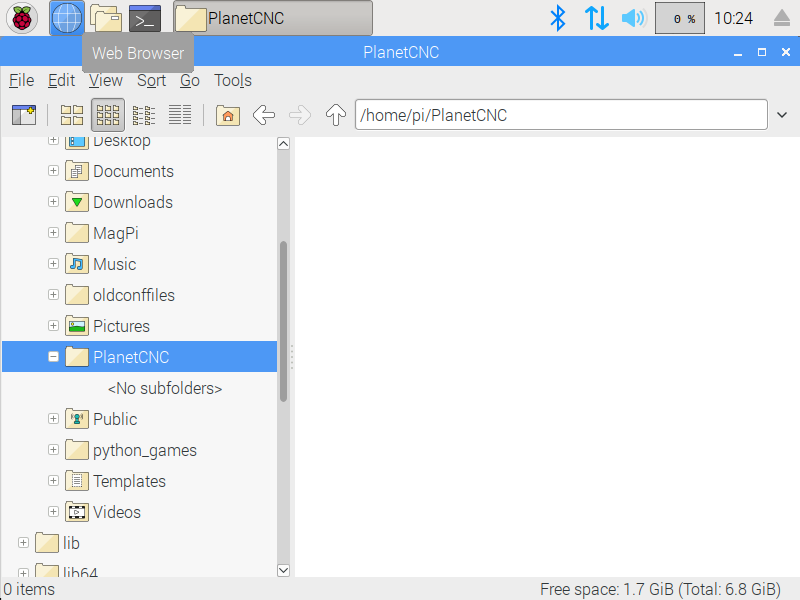 Some users face an obstacle during their time learning and using PlanetCNC software. While we always try to give fast and effective support, sometimes we need more info about the problem user is facing in order to come up with solution as fast as possible. 1. Clear and in-depth description of your problem. Please use English language if possible. Please understand that you know your machine and we don’t. 3. Past experience has shown that video recordings can be very helpful. a.) Video of your machine during operation. Video should show machine operation and the exact moment when it comes to an error. b.) Video of complete PlanetCNC sw user interface during the machine operation mentioned in point a. This way we can compare both videos and see if anything unusual is happening in software and how software behaviour reflects on machine performance. 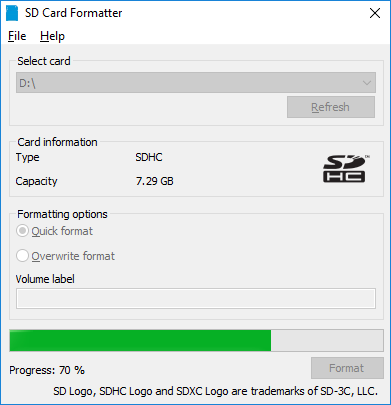 It is necessary that for this you use program and settings files that you sent us. 4. 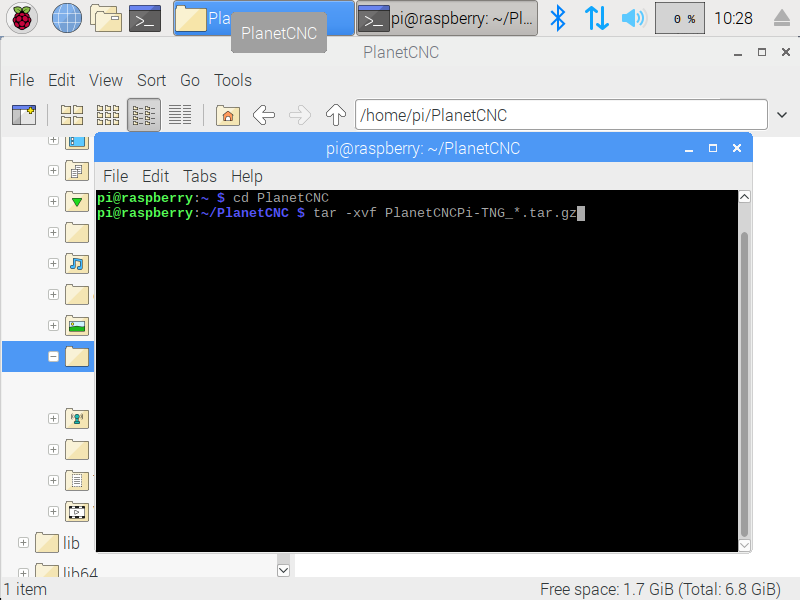 If any error message is displayed in PlanetCNC sw please make screenshot of it and post it. These of course do not apply to each possible scenario, but you should be able to recognise what is applicable in your case. 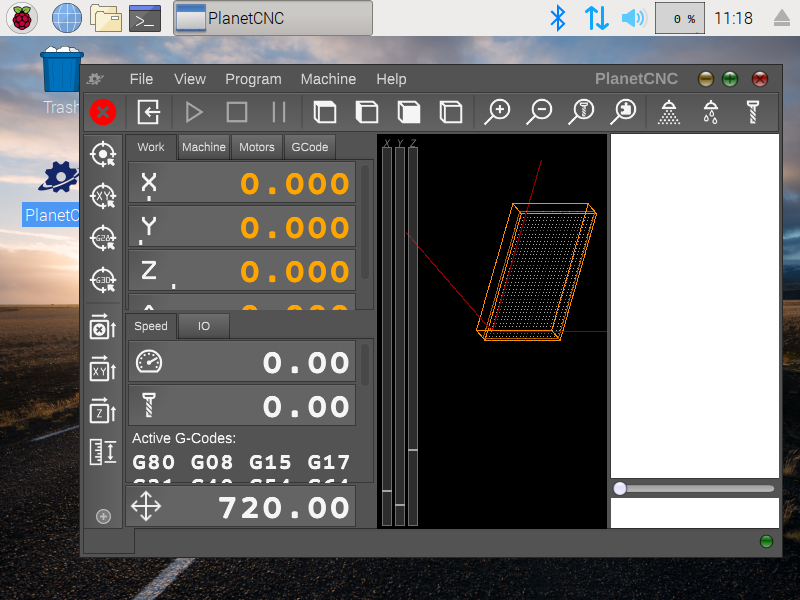 This tutorial will explain how to correctly use Work Position / Measure feature with movable sensor using PlanetCNC TNG software and PlanetCNC motion controllers. 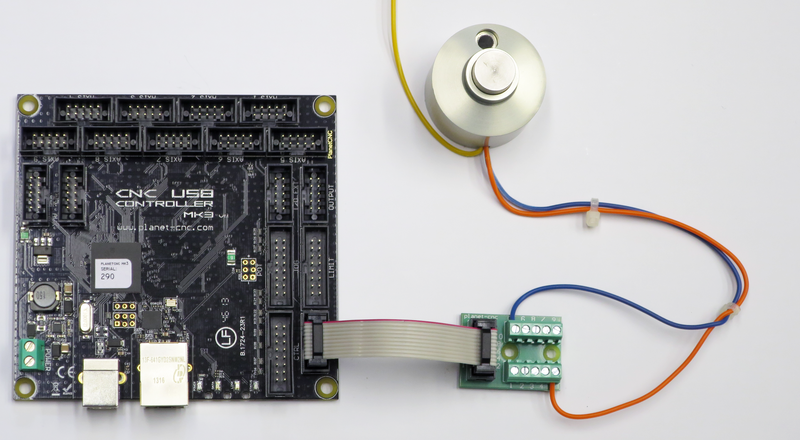 Movable sensor is basically a switch that sends signal to motion controller corresponding input pin. The most basic type of movable sensor is usually copper-clad laminate. 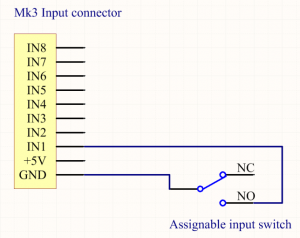 Clad has soldered wire that is connected to controller sensor input, while GND signal is attached to tool via e.g. crocodile clip. When tool touches sensors surface, controllers corresponding input is activated and software sets Work Position value to zero. 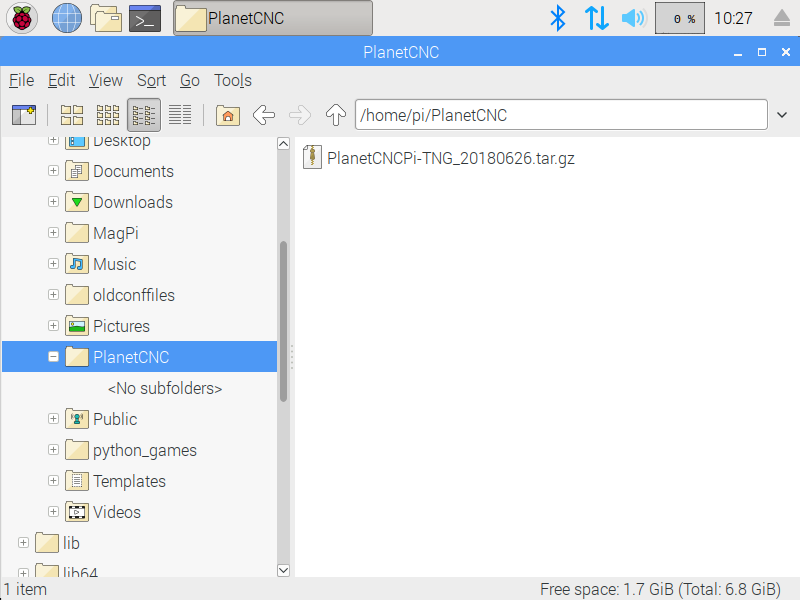 In PlanetCNC TNG under File/Settings/Program Options/Measure configure input pin that you intend to use for movable sensor. 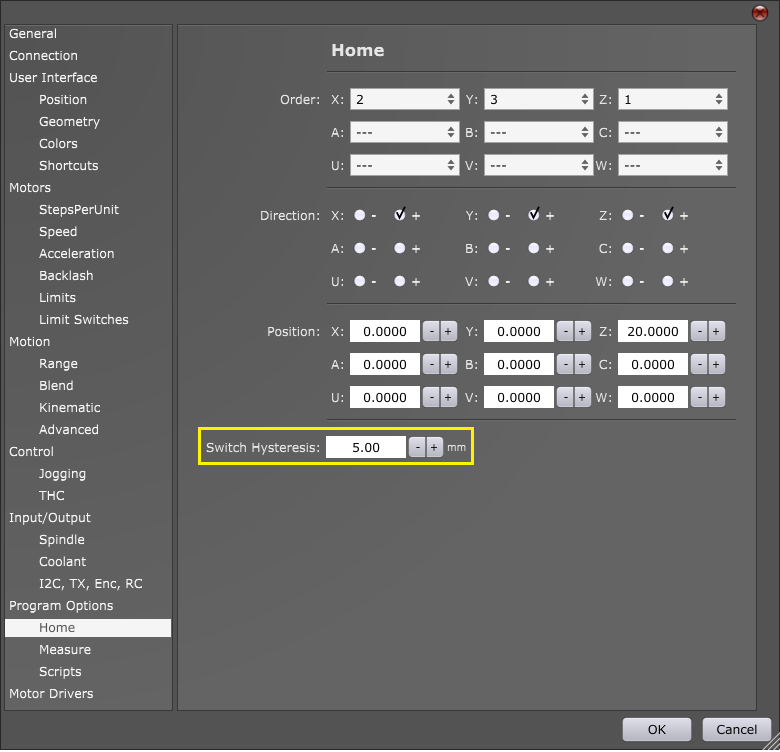 You can select between either Sensor 1 or Sensor 2 option. It doesn’t matter which one you choose. 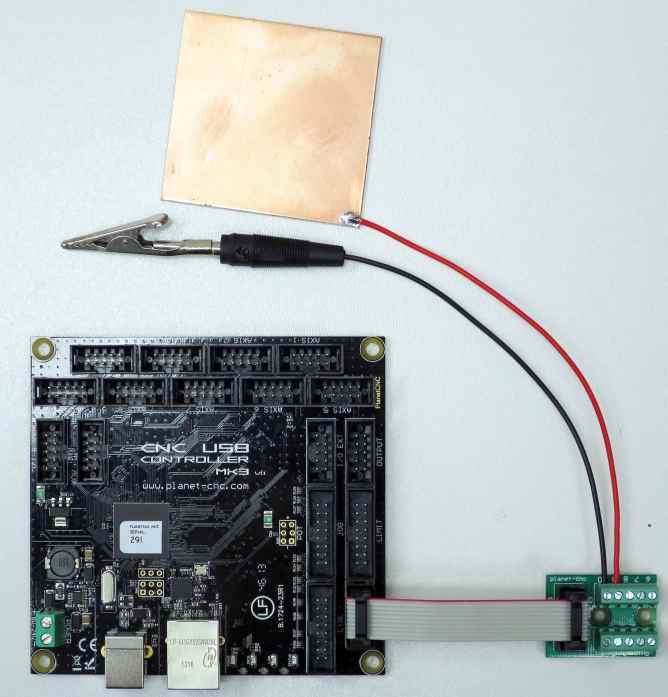 Size Z: If you use copper board as a movable sensor, then value of this parameter is the thickness of the copper board( usually 1.6mm). 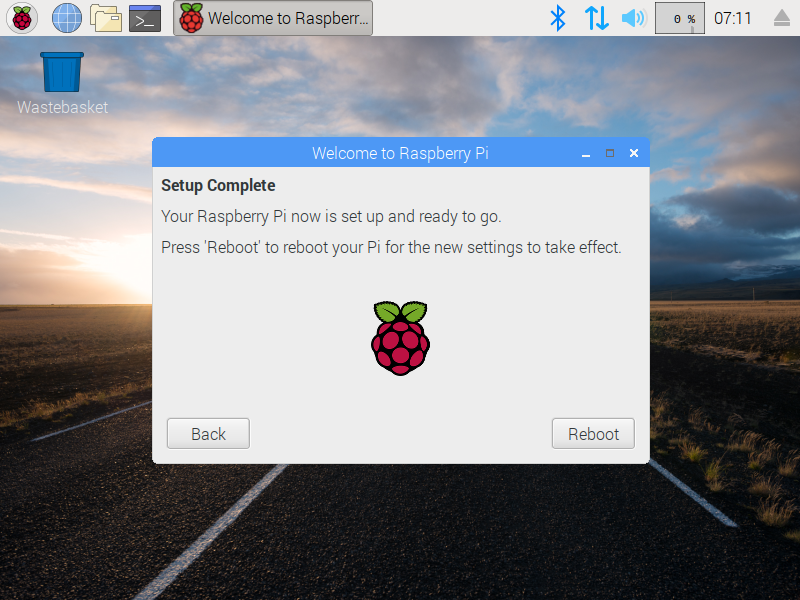 Now that your sensor is connected and configured, it is best to activate sensor by hand to check if everything is functioning OK. 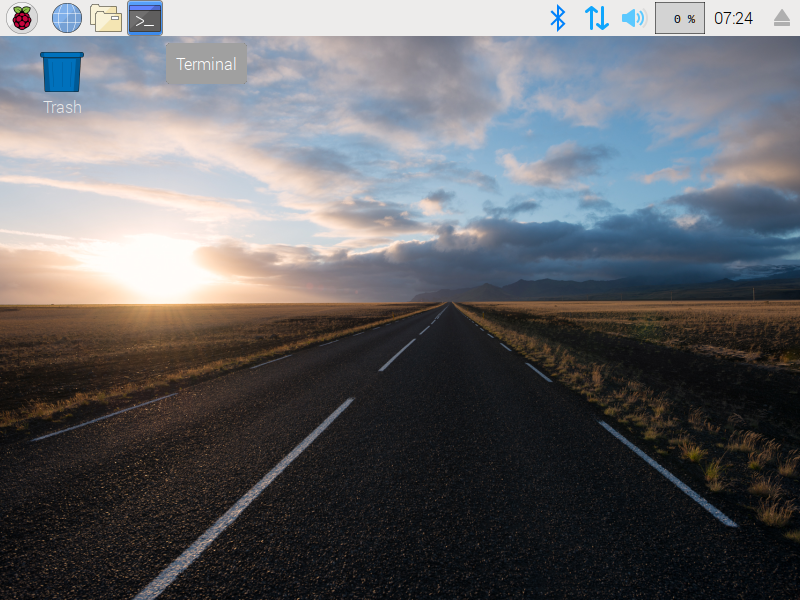 Jog your machine (it can be in any direction) and see if machine stops when you activate sensor. 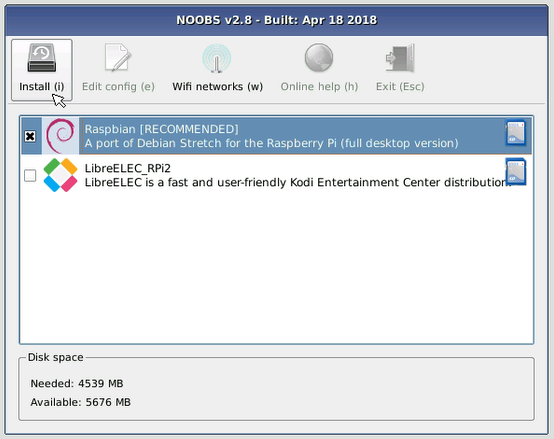 The last parameter that needs to be configured is Probe Speed. This is the speed at which Z axis will descend to measure Z axis work position. Please note: Make sure that Probe speed is not set too high. You see, during measuring procedure, when tool touches the surface (sensor gets activated) machine stops immediately. If your probe speed is too high, inertia on Z axis will cause loss of steps of Z axis stepper motor. -Machine will start descending at current position in -Z direction using probe speed. -When sensor is activated, machine will stop and ascend to Z height from which we started Work Position Measure procedure. 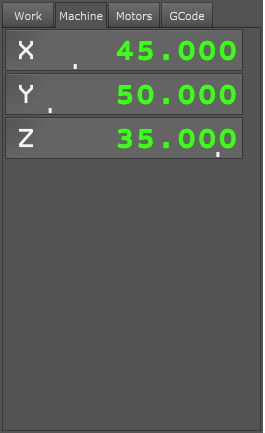 -Z axis work position value on surface of material should now be 0(zero). 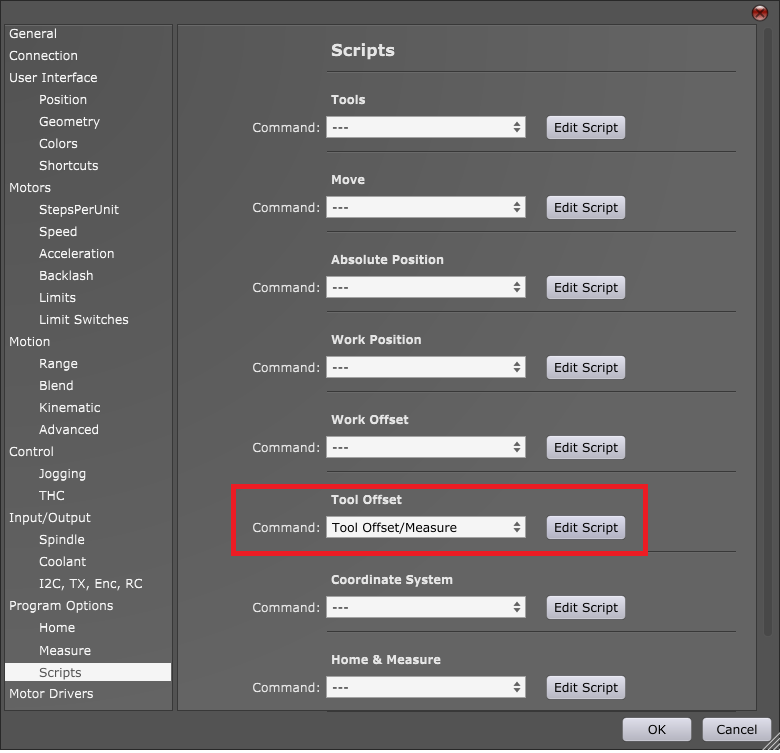 Work Position Measure procedure uses script file. If you would like to edit script code or to have more in-depth look at the procedure itself, you can do that by opening script file. a.) In settings under File/Settings/Program Options/Scripts/Work position -> Work Position Measure click button Edit Script. Script file will open in your default text editor. Saves states of of all modal g-codes currently used by software. 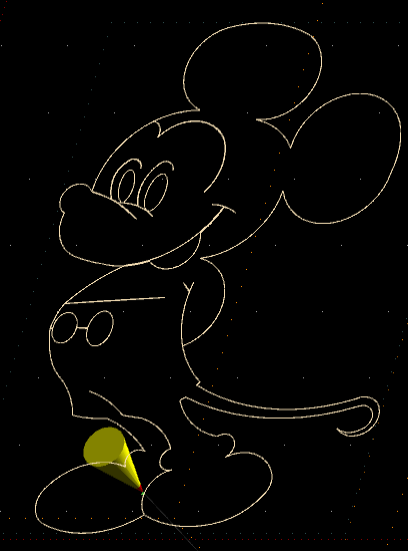 When Machine.Work_Position.Measure.gcode procedure is executed in its entirety, all states will be restored to their previous values. #3 = #<_machine_z>: Stores value of current Z axis position as parameter #3. G90: With G90 g-code we set absolute mode of motion. 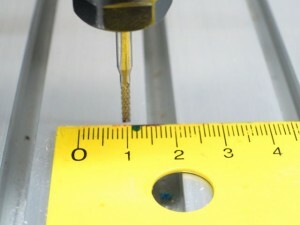 Speed at which machine descends to measure tool. 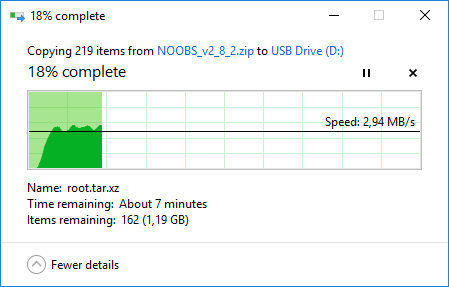 Set with Probe Speed in settings(File/Settings/Program Options/Probe Speed). This value can be set directly with new F value. In such case you should delete the “#<_speed_probe>” line of code. G38.2 g-code uses parameters X(-/+)value, Y(-/+)value or Z(-/+)value which define which axis should move to which position and in what direction. When probe is activated over the time of machine travel, machine will stop. G92 Z#<_sensor_sizeZ>: Sets current work position (where probe was activated) to thickness of sensor value. 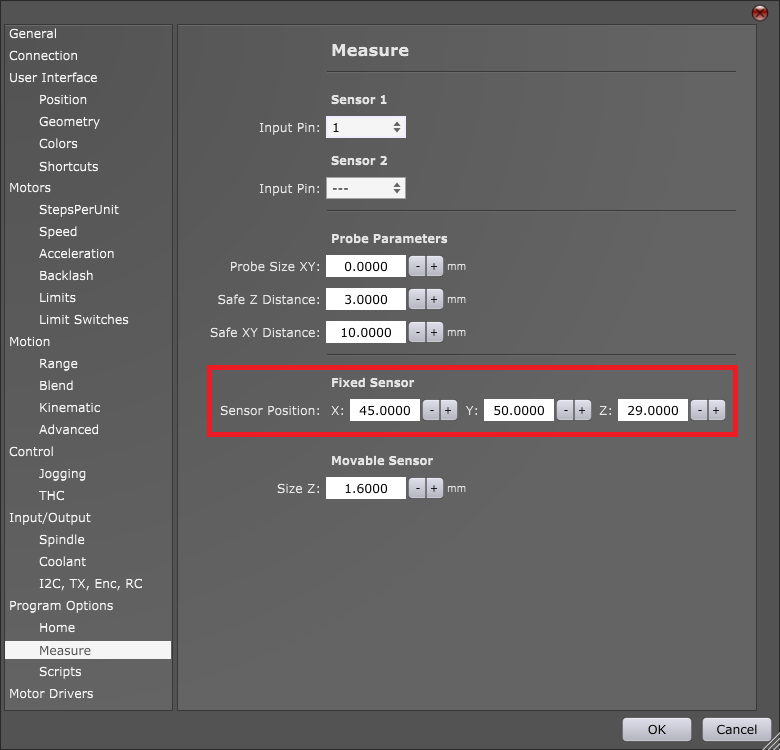 <_sensor_sizeZ> parameter is set with Site Z in settings (File/Settings/Program Options/Measure/Movable Sensor -> size Z). Machine moves in machine coordinates to previously saved Z axis position. 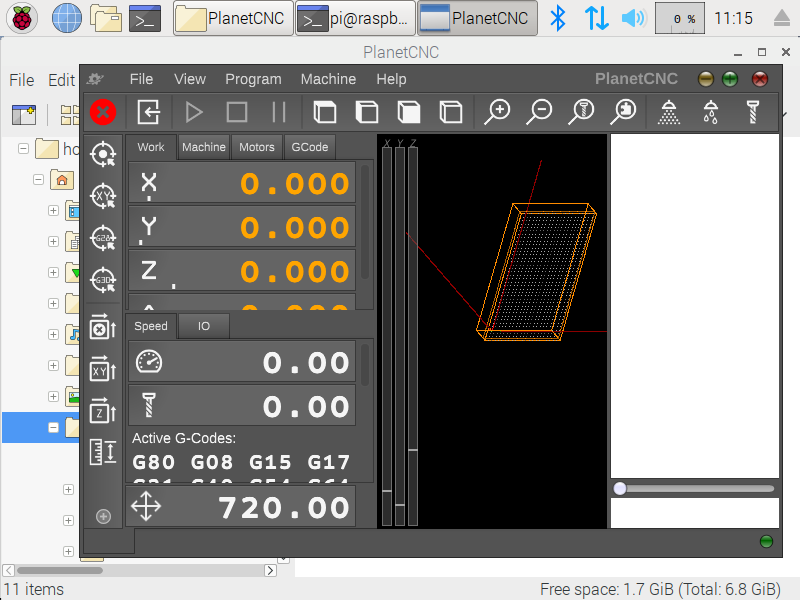 This tutorial will explain how to correctly use Tool Offset / Measure feature with fixed tool sensor using PlanetCNC TNG software and PlanetCNC motion controllers. For fixed tool sensor we can use a dedicated tool measuring switch or, most basic solution, a standard micro switch fixed to machine table. When tool activates tool sensor, controllers corresponding input is activated and software sets new tool offset value. 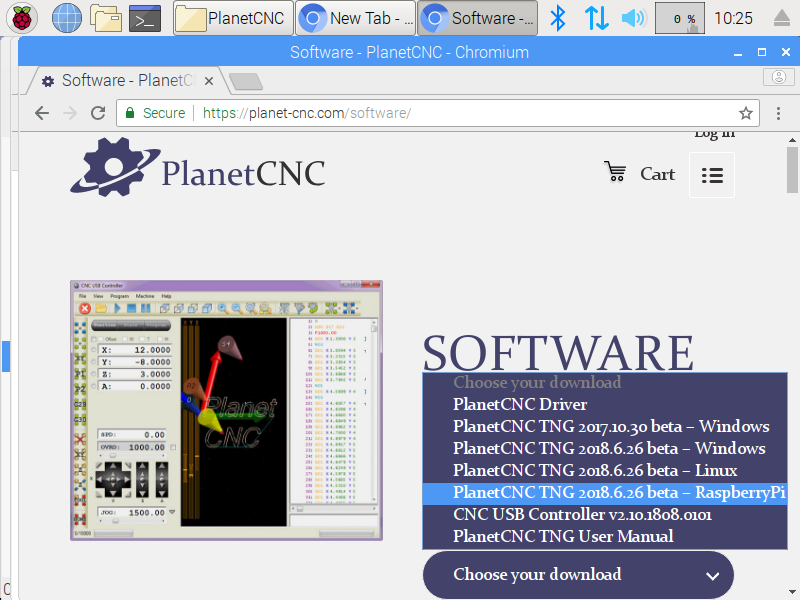 In PlanetCNC TNG under File/Settings/Program Options/Measure configure input pin that you intend to use for fixed tool sensor. Now move machine to position where fixed sensor is mounted. Make sure that tool is right above the center of fixed tool sensor or in case that you use micro switch, above the lever. Jog Z axis towards the sensor. When sensor is activated, write down Machine coordinate of Z axis. We would like to emphasise that it is very important what kind of tool is used when obtaining Z axis position value, because all future tool measurements will be dependent on this value. That is why we call this tool also a default tool. Default tool should not be too long or too short. It should be some normal length. Signs that your default tool was not suitable are usually Z axis plunging into machine table or Z axis activating limit switch after tool offset measurement. 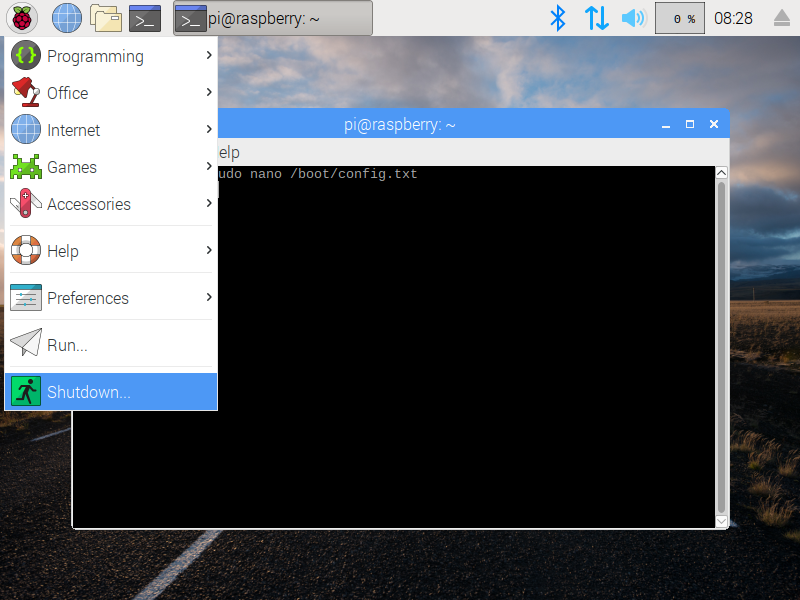 Under File/Settings/Program Options/Measure/Fixed Sensor/Sensor Position, insert values that you previously wrote down. -Machine will ascend to safe height and move from current position to sensors XY position(the one we set in settings). -Machine will descend towards sensor with probe speed and when sensor gets activated, machine will stop and ascend to safe height. 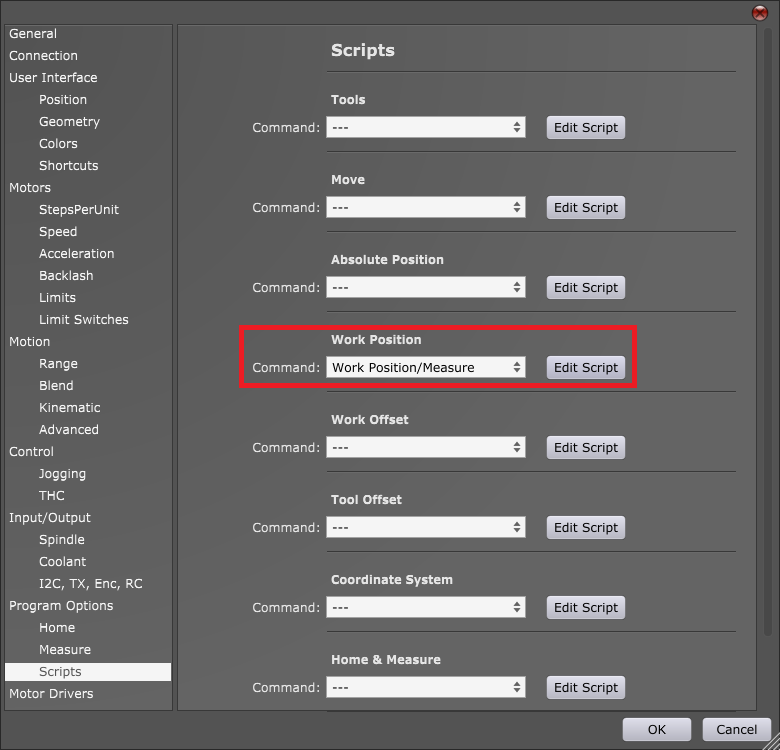 Work Position Measure procedure uses script file. 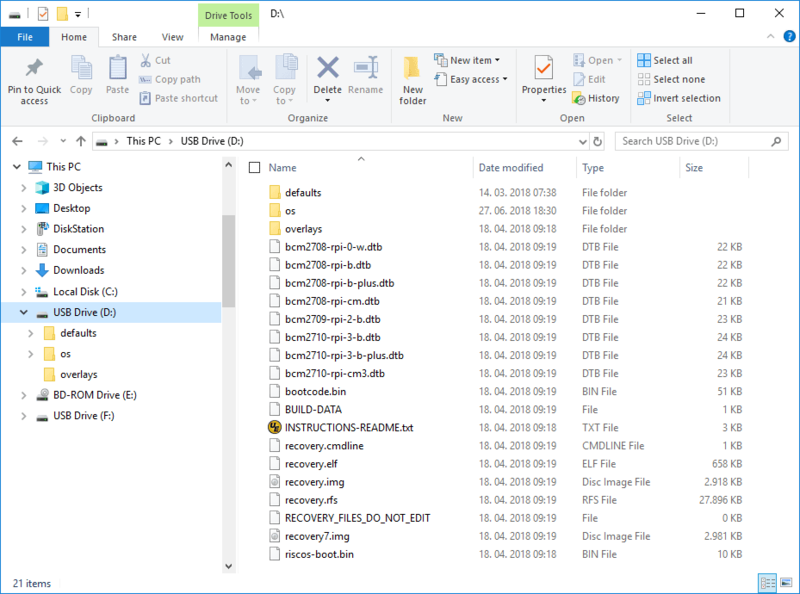 If you would like to edit script code or have more in-depth look at the procedure itself, you can do that by opening script file. a.) 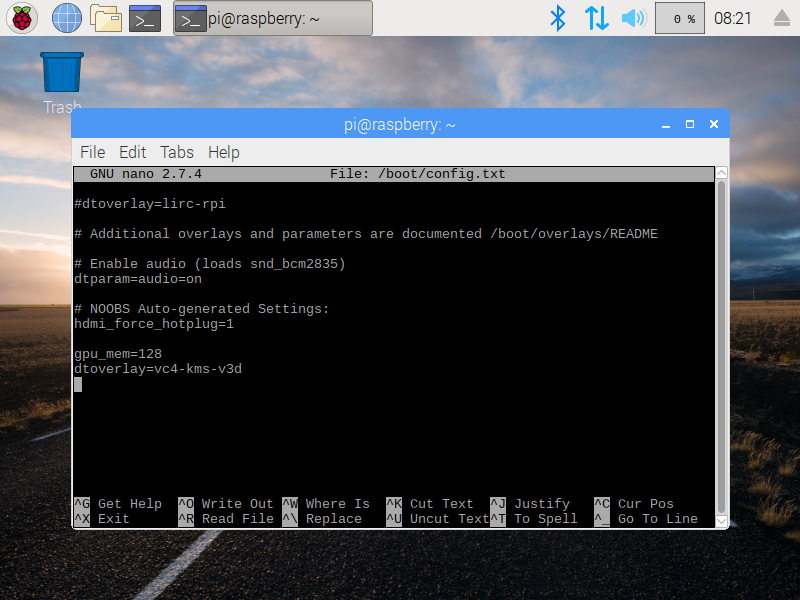 In settings under File/Settings/Program Options/Scripts/Tool Offset -> Tool Offset Measure click button Edit Script. 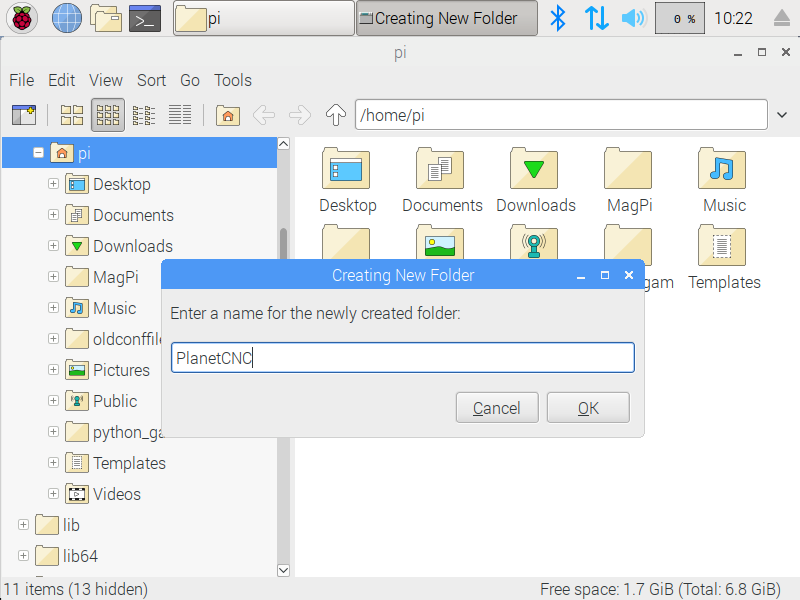 Script file will open in your default text editor. This g-code saves states of of all modal g-codes currently used by software. When Machine.Tool_Offset.Measure_Tool.gcode procedure is executed in its entirety, all states will be restored to their previous values. 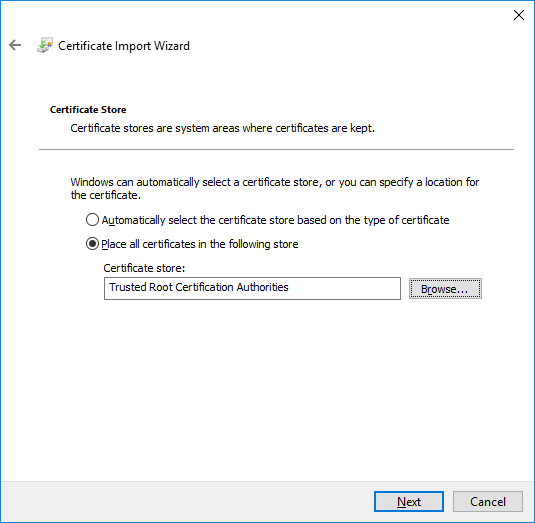 #<xpos> = #<_x> (store current x position): Stores value of current X axis position as parameter #1. 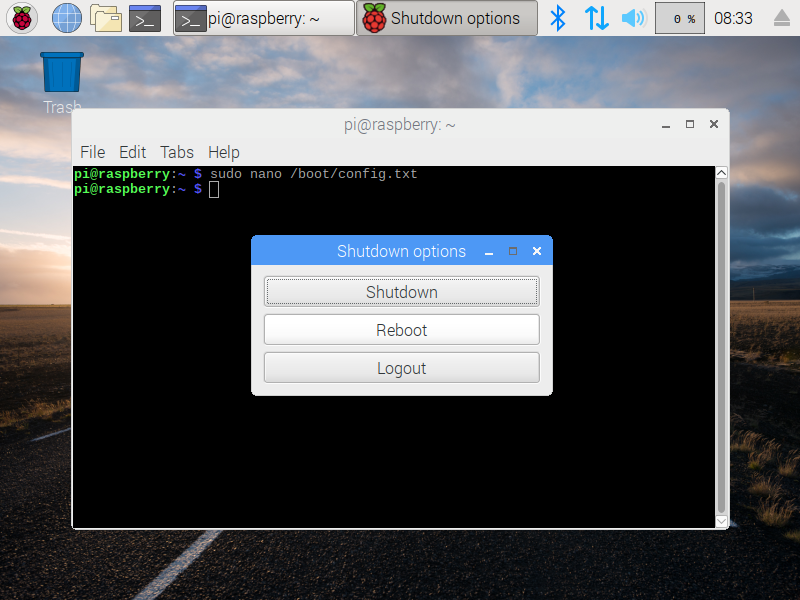 #<ypos> = #<_y> (store current y position): Stores value of current Y axis position as parameter #2. #<zpos> = #<_z> (store current z position): Stores value of current Z axis position as parameter #3. With G90 g-code we set absolute mode of motion. Prior to “Measure Tool” procedure , motion mode could be different so we used M73 to save current modal states. G53 G0 Z#<_motorlimit_zp>: Machine ascends to safe height. G53 G0 X#<_sensor_x> Y#<_sensor_y>: Machine moves to sensor XY position. F#<_speed_probe>: Speed at which machine descends to measure tool. 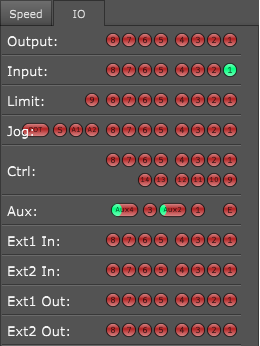 Set with Probe Speed in settings(File/Settings/Program Options/Probe Speed). This value can be set directly with new F value. In such case you should delete the “#<_speed_probe>” line of code. G38.2 Z-100000: This g-code moves selected axis in selected direction. G38.2 g-code uses parameter X(-/+)Value,Y(-/+)Value or Z(-/+)Value which define to which coordinate value machine should move and in what direction. When probe activation occurs over the time of machine travel, machine will stop. G43.1 Z[#<_probe_z> – #<_sensor_z>]: When G38.2 g-code senses that sensor is activated and stops the machine, this g-code sets tool offset. G53 G0 Z#<_motorlimit_zp>: Machine moves in absolute coordinates to safe height. G0 X#<xpos> Y#<ypos> (move to last xy position): Rapid move to position from which we started the “Measure Tool” procedure . With this subroutine program we make sure that even with new tool offset value, we are safely within Z axis machine limits when machine moves back to position from which we started the “Measure Tool” procedure . Limit switches are used for reference (homing procedure) and as a safety feature. 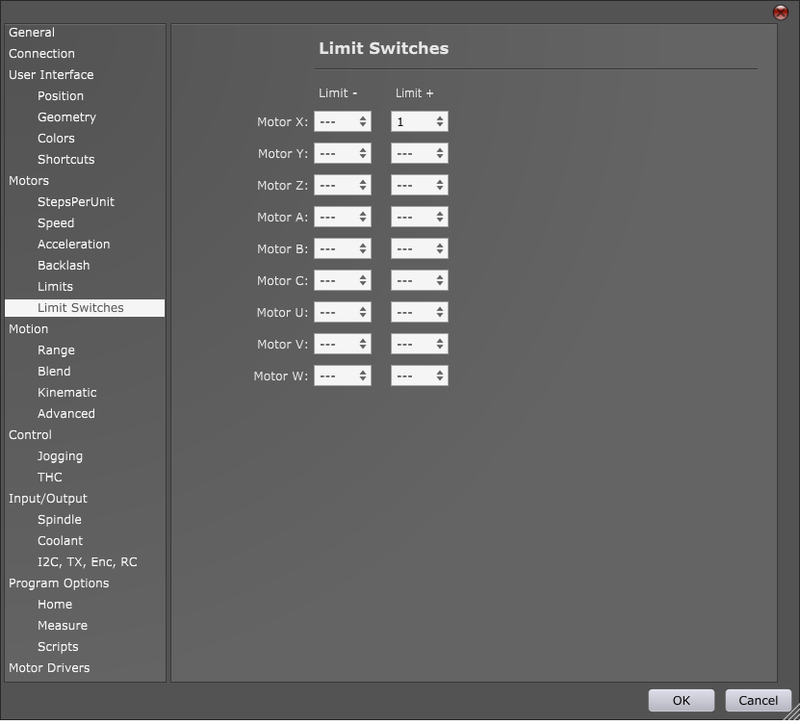 Examples below will demonstrate various scenarios of limit switch input configuration depending on how limits switches are used with CNC machine. Examples will demonstrate use of limits for X axis, all shown principles can be used for all other axes. Click radio button next to limit pin that you wish to invert. This tutorial will explain how to correctly use Machine/Home feature. Homing procedure will reference machine axes and set machine work area. Position value is axis position to which axis returns after homing. Perhaps you noticed that when switch is triggered you need to move back short distance to release it. Some switches need longer distance, some very small, but all switches need this. Values are usually around 2-5mm. Z axis will be referenced first. Axis will move in positive direction until Z axis limit switch is activated. When switch is activated machine stops and moves to position set with Z “Position”(Z=20mm) . X axis will be referenced second. Axis will move in positive direction until X axis limit switch is activated. When switch is activated machine stops and moves to position set with X “Position”(X=0mm). Y axis will be referenced third. Axis will move in positive direction until Y axis limit switch is activated. 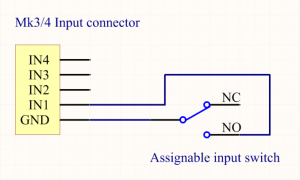 When switch is activated machine stops and moves to position set with Y “Position”(Y=0mm). 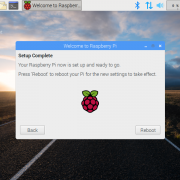 Homing procedure uses script file. If you would like to edit script code or to have more in-depth look at the procedure itself, you can do that by opening script file. a.) 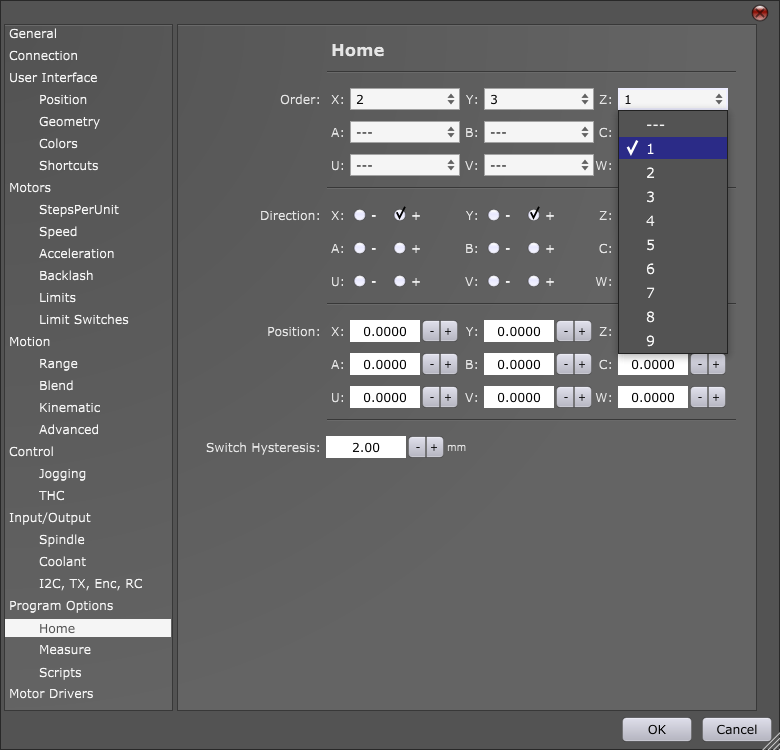 In settings under File/Settings/Program Options/Scripts/Home & Measure -> Home, click button Edit Script. 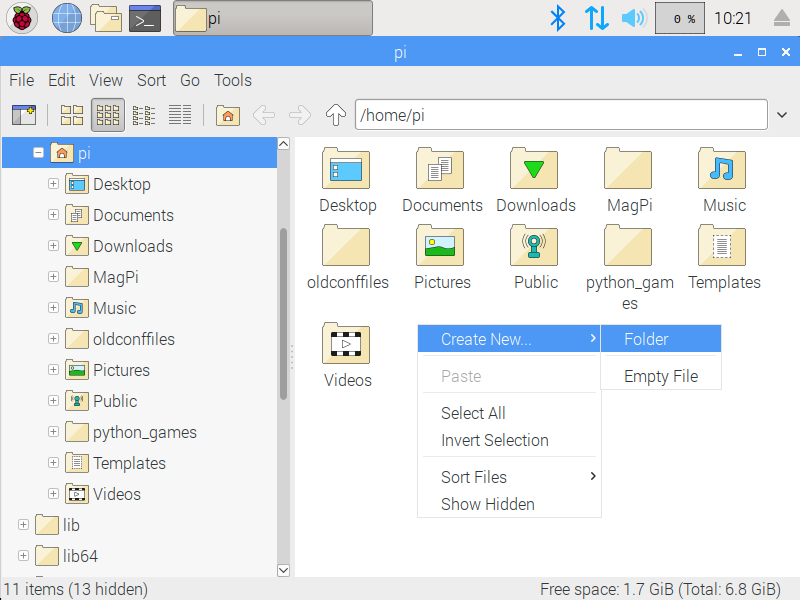 Script file will open in your default text editor. With G90 g-code we set absolute mode of motion. Prior to measure tool procedure, motion mode could be different so we used M73 to save current modal states. Speed at which machine will home each axis. 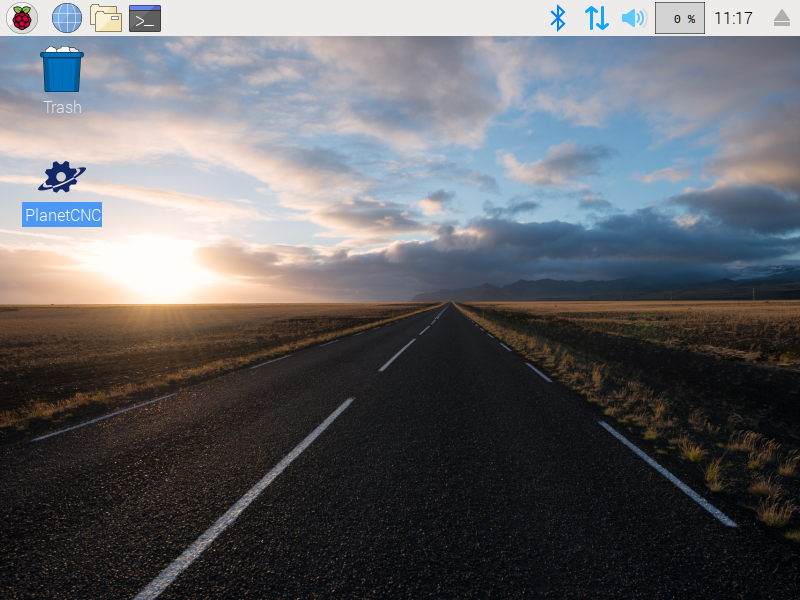 Set with Home Speed in settings(File/Settings/Program Options/Home Speed). This value can be set directly with new F value. In such case you should delete the “#<_speed_home>” line of code. This g-code moves selected axis in selected direction and senses the limit switch activation. G38.1 g-code uses parameter X(-/+)Value,Y(-/+)Value or Z(-/+)Value which define which axis will move in which direction when measuring limit switches. When limit swith activation occures over the time of machine travel, machine will stop. When G38.1 g-code senses and stops the machine, this g-code sets current absolute position for selected axis . G10 L9 X[#<_motorlimit_xp> + #<_homeswitch_hysteresis>]: Absolute position value of X axis will now be added value of X+ motor limit value and X+ switch hysteresis value. 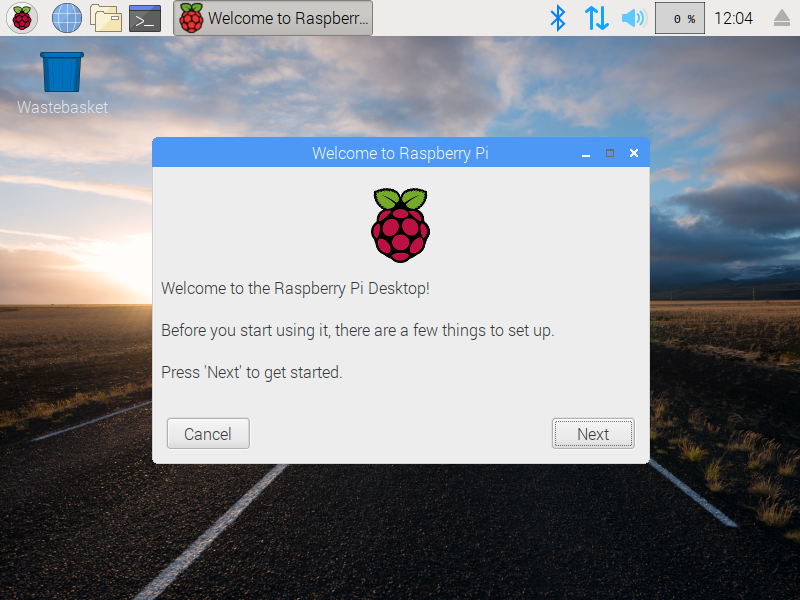 G53 G0 X[#<_home_x>]: Machine moves in absolute coordinates to x axis home postion. Example: If new machine absolute position is the one saved with G10 L9 g-code(X+ motor limit and X+ switch hysteresis value), we move machine back to X axis home position. This tutorial will explain how to set motion limits of your machine under File/Settings/Motion-> “Range”. 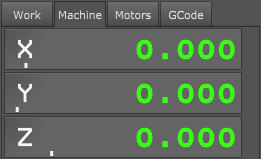 If you use normal XYZ axis machine, then we recommend that you set your motion limits to same values as motor limits. You are probably wondering what is the difference between motor limits and motion limits? We try to think that motor limits are limiting actual motor movement while motion limits are limiting effector (tool) movement. With use of combined motors and special mechanics you can achieve movement which doesn’t follow the same kinematic rules as linear motion CNC’s. Examples of such machines are H-bot, Delta or multi-axis machines. In such cases values for motor limits and motion limits would not be the same. 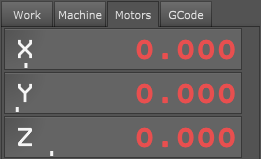 This tutorial will explain how to set motor limits of your machine under File/Settings/Motors-> “Limits”. With motor limits we set limitation of motor movement and therefore machine travel. 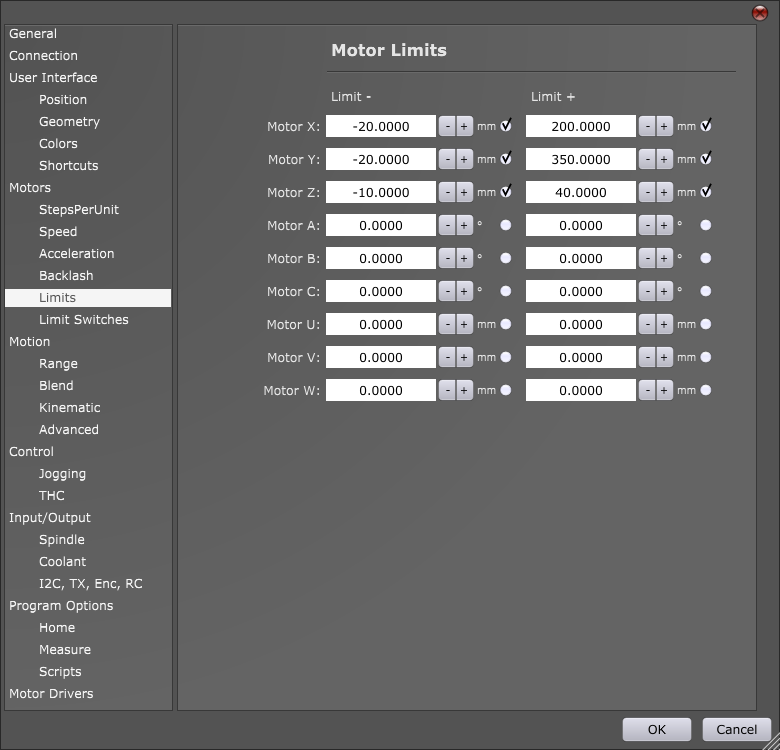 You can configure limit values for each axis motor. First we need to set all machine and tool offsets values to zero. 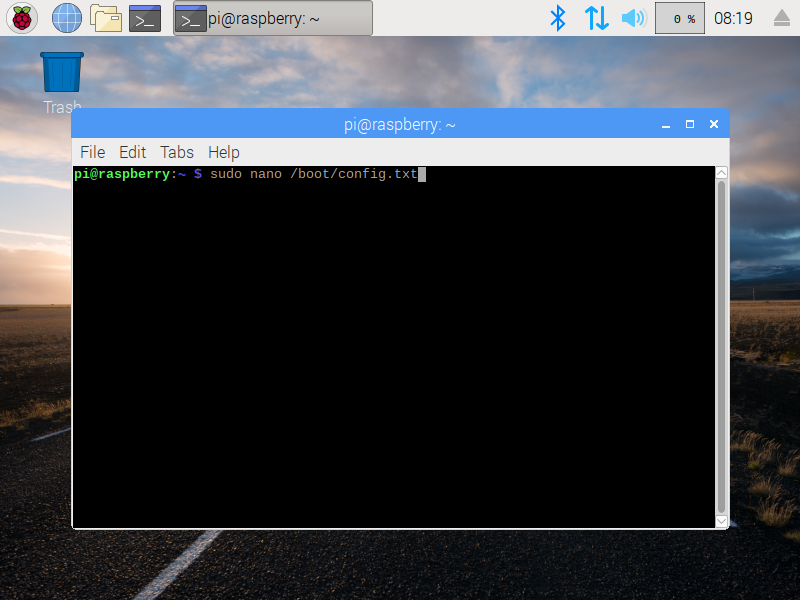 Work offset should be set to zero with command “Machine/Work Offset->To Zero”. Tool offset should be set to zero with with command “Machine/Tool Offset -> To Zero”. Tool is put in spindle and machine is jogged to this position. Use tool with normal length, not too short, not too long. Be careful not to crush tool into machine table when you descent Z axis. You can just loosely tighten tool in spindle and if accident happens nothing will be damaged. This position should be machine absolute zero. Command for zeroing machine absolute position is in menu: “Machine/Absolute Position ->To Zero”. Slowly jog Z axis up until Z+ limit switch is hit and machine stops. Step jog in opposite direction so that limit switch is released and write down Z+ axis machine position. Slowly jog X axis in positive direction until X+ limit switch is hit and machine stops. Step jog in opposite direction so that limit switch is released and write down X+ axis machine position. Slowly jog X axis in negative direction until X- limit switch is hit and machine stops. Step jog in opposite direction so that limit switch is released and write down X- axis machine position. 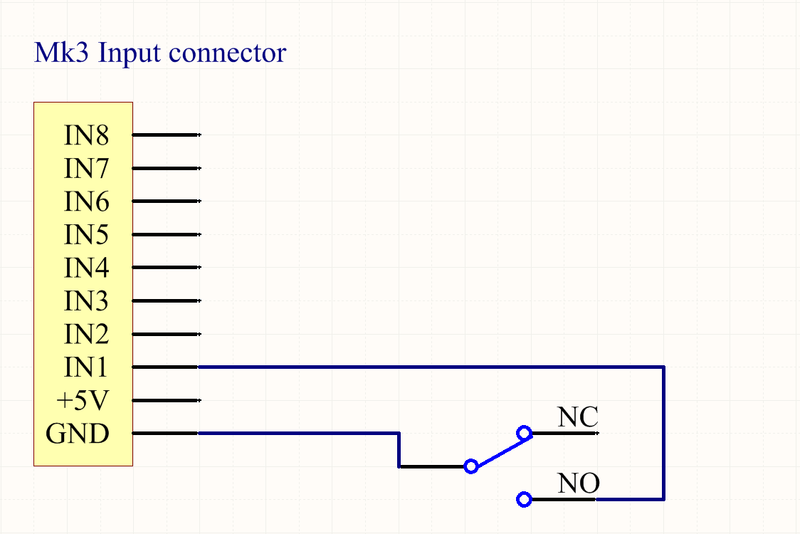 Slowly jog Y axis in positive direction until Y+ limit switch is hit and machine stops. Step jog in opposite direction so that limit switch is released and write down Y+ axis machine position. Slowly jog Y axis in negative direction until Y- limit switch is hit and machine stops. Step jog in opposite direction so that limit switch is released and write down Y- axis machine position. Please note: When machine triggers limit switch during homing it stops in a moment. That is why we need to approach limit switch with slow speed. The distance from where limit switch is activated and to the point where it gets released is called switch hysteresis. This parameter will be used when configuring homing procedure. 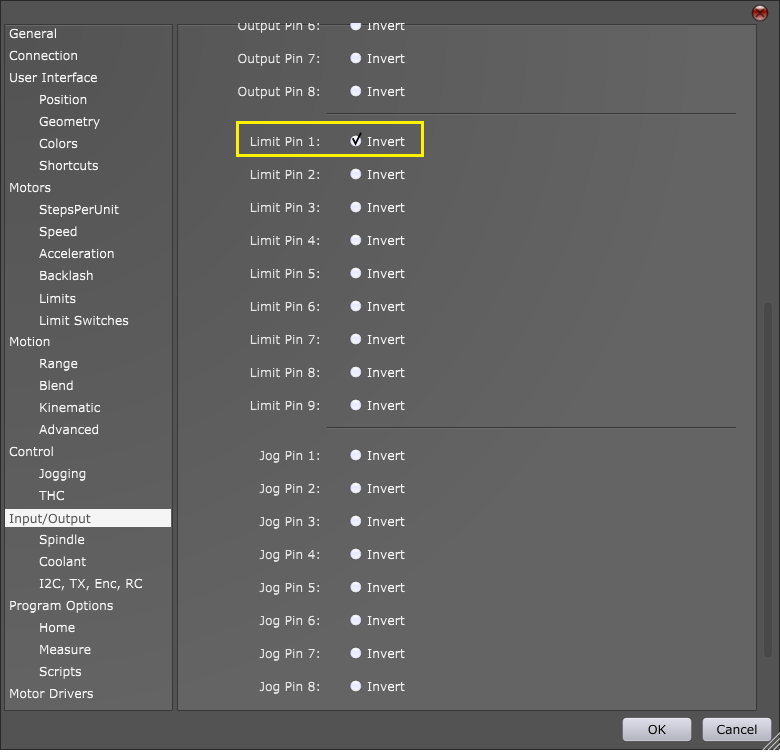 This tutorial will explain how to correctly configure step per unit values of your machine. 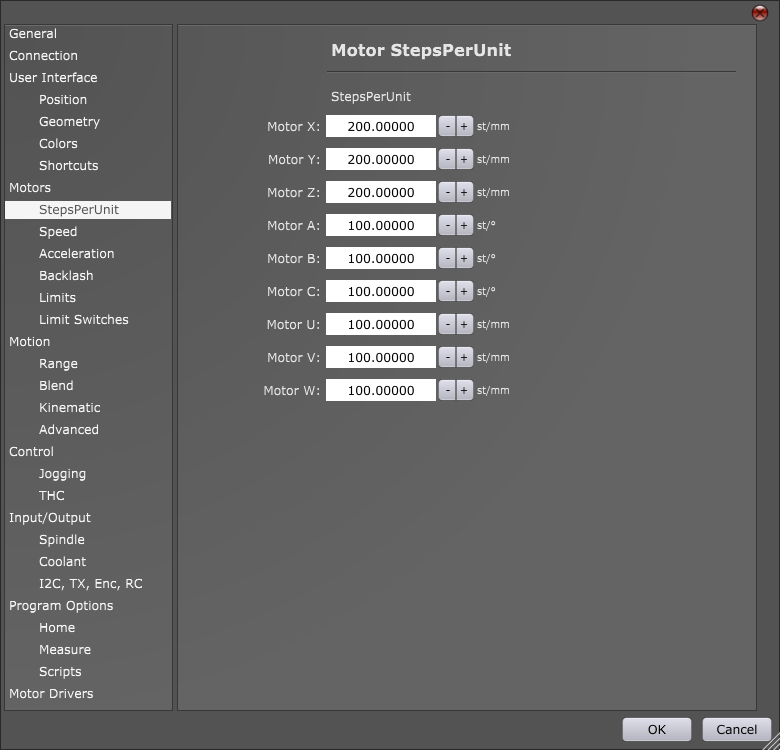 Step per unit value (in further text SPU) defines how many step pulses controller needs to generate in order that machine axis moves for distance of one unit. 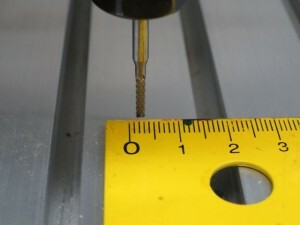 Units can be in millimeters or in inches. We will have to do some measuring and provide ourselves with some numbers. Then we will be able to calculate correct SPU value. 2) Jog machine to a suitable location, and set: Machine/Work Position/Axis to Zero/XY . 3) Now let’s say that we want to move X axis from our offset zero position to X=10 position and measure the actual distance for which machine will move. To measure the distance of machines travel, we can use ruler, caliper or measuring tape which we place under machines tool. 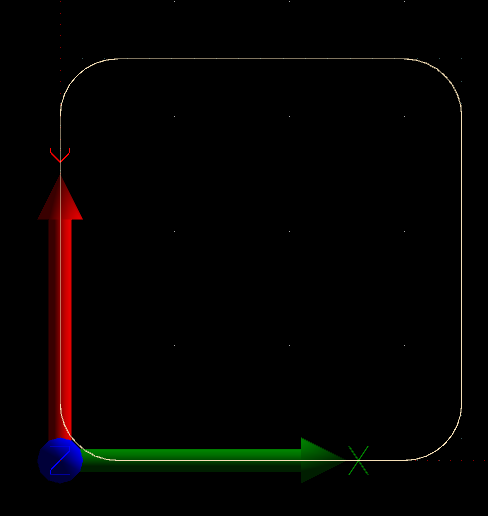 If ‘Current SPU’ value moves X axis for ‘Measured distance’ value, what is the ‘Correct SPU’ value that will move X axis for ‘Entered distance’ value?